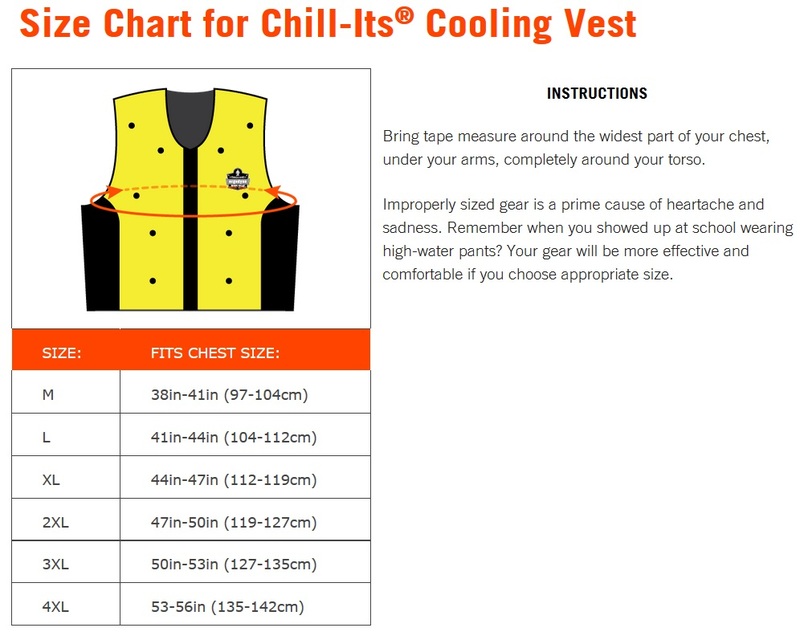 The Chill-Its Dry Evaporative Cooling Vest is a great way to beat the heat without getting wet. 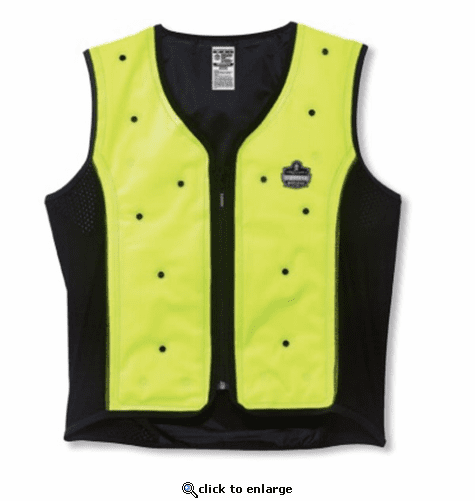 Simply fill this great cooling vest with water and enjoy hours of cooling relief and comfort. Do not clean the inside reservoir. Cooling material is treated with an anti-microbial that inhibits mold growth. Keep cap closed at all times to maintain vest\xCDs effectiveness. Perfect For: Construction, Trades, Maintenance, Landscaping/Grounds, Assembly/Fabrication, Material Handling, Freight/Baggage, Warehousing/Distribution, Iron/Steel Fabrication.